New Delhi: The ministry for health and family welfare has asked the privately run Manipal University to halve the number of its medical seats amid concern over the sharing of infrastructure and faculty between Indian and Malaysian students. The system, the ministry maintains, sacrifices the quality of education offered to Indians. Manipal University’s programme in medicine for Malaysian students is an arrangement with the Melaka Manipal Medical College, a Malaysia-based arm of Manipal University. Under this programme, students complete a part of their course in Malaysia and the rest on the Indian campus. Malaysians pay an annual tuition fee of 30,000 ringgit (Rs4.13 lakh), part of which is transferred to Manipal University. Manipal declined to disclose how much is transferred. Indian students—from outside Karnataka—at Manipal University’s two medical schools pay an annual fee of Rs4.14 lakh. Those from Karnataka pay Rs40,000 per year. “The Malaysian campus is part of our global expansion," said Anand Sudarshan, who oversees all the education businesses of Manipal Education and Medical Group International India Pvt. Ltd, or MEMG. But a ministry official, who spoke on condition of anonymity, said the sharing of faculty and facilities—such as the library—between the two programmes is unfair. “When we went for inspection, we found floating faculty (between the two programmes)," said the official. “Everything is in the same building." MEMG operates one of India’s most commercial ventures in education from its headquarters in Manipal, 60km north of the port city of Mangalore in Karnataka. Over the last 50 years, the group has grown from a single primary school to 125,000 students in a multitude of disciplines, with campuses in Manipal, Mangalore and Bangalore in southern India, Sikkim in the North-East, and international locations such as Dubai, Nepal, Malaysia and Antigua. In June, the health ministry derecognized the undergraduate degree awarded by Manipal University’s two medical schools located in Manipal and Mangalore. Later, it restored recognition but asked the batch size for the programme to be reduced by half. Of its 500 medical students, 75 are foreign students; in line with the norms of the Medical Council of India, or MCI, the regulator of medical schools, which mandates that institutions can admit 15% foreign students in an undergraduate course in medicine. The health ministry official said even the Prime Minister’s Office is monitoring the situation. Ramdas Pai, the university’s chancellor and son of Manipal group founder T.M.A. Pai, met Prime Minister Manmohan Singh a few weeks ago to raise the issues of the university, confirmed CEO Sudarshan. He said some of the faculty members on the list of the Malaysian programme also feature on the faculty list of the programme for Indian undergraduate students so that they get promotions as per the norms of MCI—not because they teach both the courses. “There are some antiquated norms," said Sudarshan. MCI secretary A.R.N. Setalwad did not answer calls and text messages to his cellphone. Other concerns about Manipal raised by the health ministry include its shortage of teaching hospitals, the use of same faculty for its dental and medical schools and faculty being away on sabbaticals. 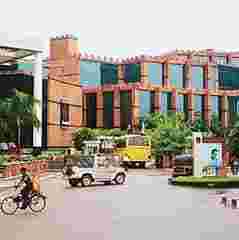 In interviews and a written response to the ministry, viewed by Mint, Manipal University said while the teaching hospitals associated with its medical schools are short of beds, the university has 20-year tie-ups with government hospitals that provide it with teaching beds. The university said faculty was only one senior resident short in one department and offered some concession on issues such as the sharing of hostels with foreign students, agreeing to follow the recommendations of the ministry. The health ministry official said he is aware of only two institutions that offer programmes in medicine exclusively for foreign students—Manipal University and another privately run medical school, MS Ramaiah Medical College in Bangalore. Both programmes are for Malaysian students. “There is no law preventing such course from running," he said. The health ministry official said an inspection of Ramaiah college, which admits 150 Indian students to its flagship course, showed that infrastructure and faculty were not being shared with the teaching centre for Malaysian students. “Neither pin nor peon is shared," said Sivram Kumar, the medical school’s dean and principal who graduated from the government-run Bangalore Medical College and has taught medicine for nearly three decades. “We know the rules, and we play with a straight bat."